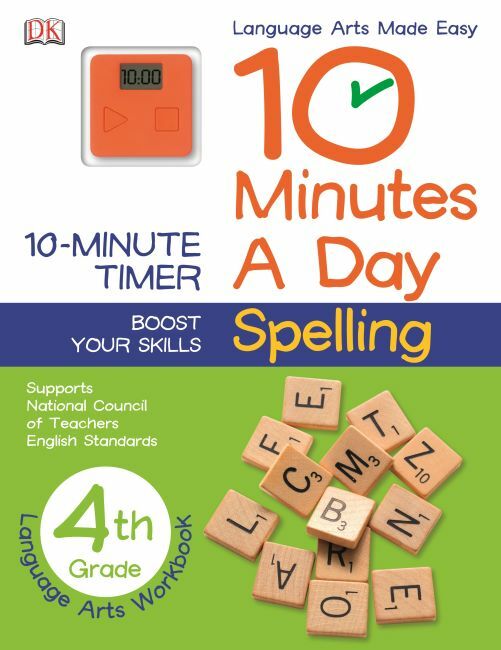 Fourth graders can get extra practice at spelling with exercises on prefixes, suffixes, hyphenated words, apostrophe use, and more in 10 Minutes a Day: Spelling Grade 4. Accompanied with a digital timer, the 10 Minutes a Day series provides quick exercises testing a range of skills and knowledge. Each spread takes a maximum of ten minutes to complete, with a mix of problems that can be quick to answer, or take a little longer. Complete with parents' notes including tips, guidance, and answers, these workbooks are the perfect reinforcement aids for help at home.